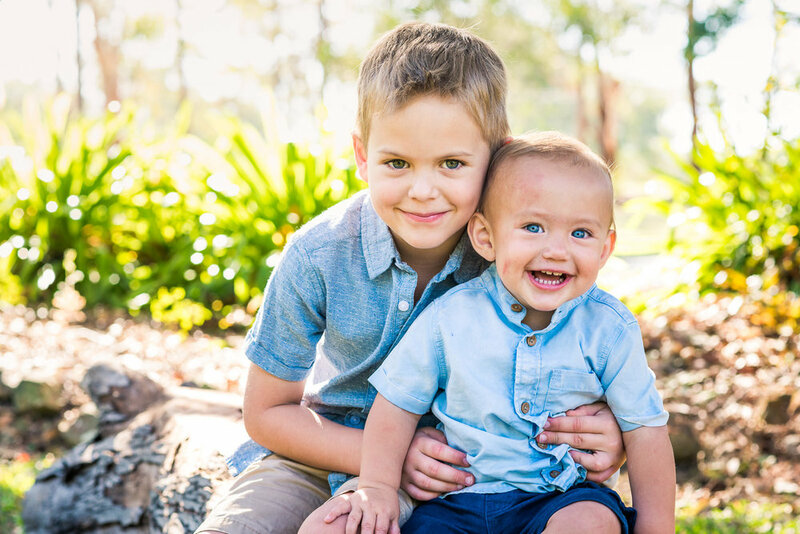 You’re looking for a professional photographer in the Caboolture region who knows what it’s like to have kids, will make the shoot fun and easy and can capture your family’s awesomeness – well that’s what I do! Your photography session is all about spending quality time together and getting beautiful photos of your family. Whether it's your first family portrait, to update the family portrait, a special occasion or event, I promise you will enjoy yourselves and get gorgeous photos to put on the wall. 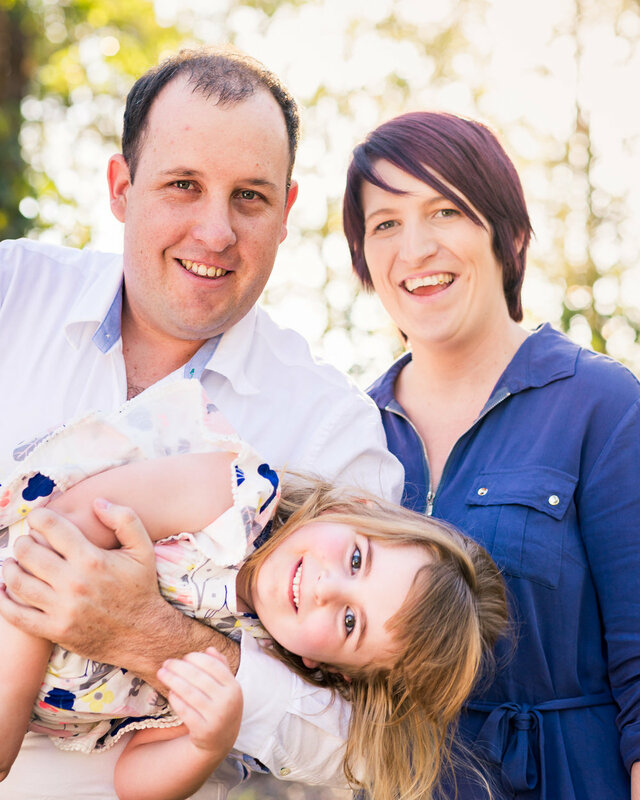 Family photo shoots take place outdoors, at home, or anywhere you like. Many families opt for a portrait session at their local park but there are hundreds of places to visit in the greater Moreton Bay Region. I’ve been a photographer for quite some time now but the love of photographing my kids is what got me into family photography. My style is relaxed, candid, and natural. I love capturing all the fleeting and special moments for my awesome families, and the best thing about being a family photographer is that I get to have a good laugh on the shoots. I offer a full service from preparation to print and can guide you through all the options to display your family portraits. Keep scrolling down the page to learn about the family portrait experience. Download a copy of the Outdoor Family Photography preparation guide to learn about choosing the right location and choosing what to wear. We also discuss what to bring, what to expect on the day, with what happens after the shoot and how to display your family portraits. 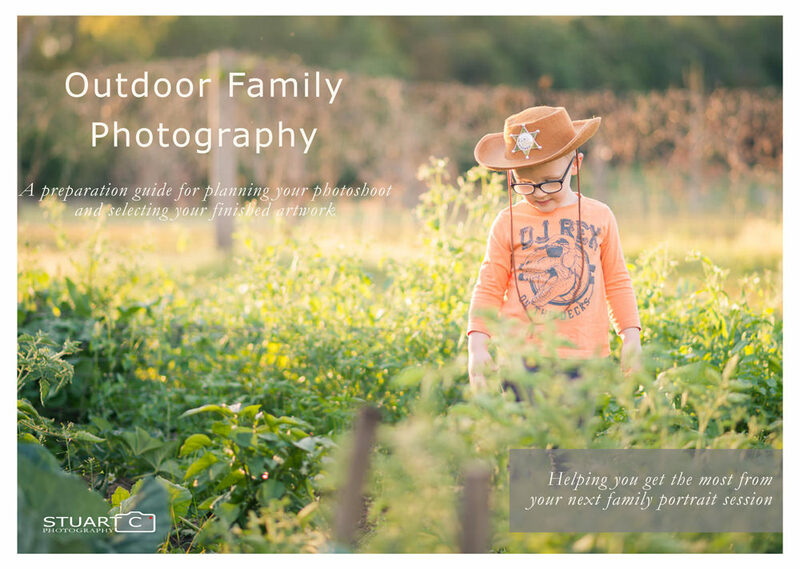 I hope this guide triggers some ideas and helps make your next outdoor family portrait session a great experience. Your local park is the perfect place to have your family portraits. The gardens are well manicured and you can always find a wonderfully soft patch of grass to throw out the picnic rug. There are hundreds of parks in the greater Moreton Bay region and beyond, but a few of my favourites are Centenary Lakes in Caboolture, Lake Eden in North Lakes, and Mt Cootha Botanical Gardens. Beaches and Coastal locations differ greatly from Brisbane through to Redcliffe, Bribie Island and the Sunshine Coast. Bribie Island offers sandy beaches white sands, driftwood and paperbark trees. Want rock pools for nice reflections head to Dicky beach on the Sunshine Coast. Shorncliffe has one of the best piers. You don’t need to head far out of Caboolture to find a nice rural or bushland scene. You could go anywhere off the beaten track such as Kurwongbah, Wamuran, Elimbah, Woodford, Mt Mee, or the Sunshine Coast Hinterland. Head to the Sunshine Coast Hinterland for amazing rainforest locations such as Kondalilla Falls or Mary Cairncross Reserve. You will come across some wonderful elements such as interesting tree trunks to pose against, rocks and boulders to sit on, pathways and bridges to lead into the scene, and not forgetting waterfalls and streams. It’s quite surprising what you can find close to home. I find urban locations to be quite intimate places featuring rough walls and textures. It’s hard to beat the Powerhouse at Newstead but if you look closely, hidden gems can be found close to home. Here’s something to consider; why not have your family portraits taken at home? 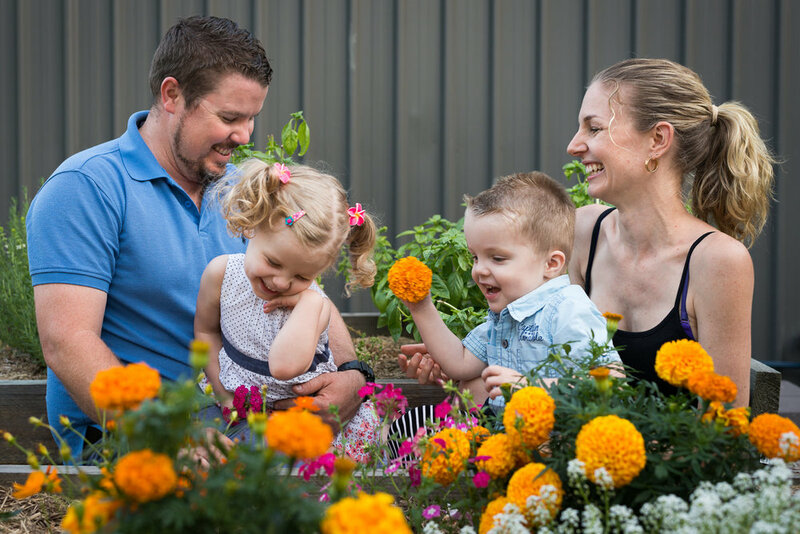 Do you have a great backyard with amazing gardens or an interesting feature wall that would make the perfect backdrop to your family portrait? Maybe you want to include your pets, or a pastime. Or it might just be more convenient to have a photographer come to you. Sessions are typically held on Saturdays in an Outdoor location of your choice: Beach, bush, rain forest, park, urban or even at home. The time of day will depend on the location and of course you and your family. Have a good look through this website, you will find all sorts of information about locations and products. Make sure you check out the blog page, you may find some inspiration or ideas for you photoshoot. A session fee of $95 is required to book your session, you can purchase a session voucher by contacting me by phone, email or message. In preparation for your photo shoot you will receive a questionnaire that helps me get to know you and your family. We then discuss the perfect location, timing, ideas and must have images for the photo shoot. You will start to coordinate clothing choices, keeping in mind the landscape, colours and styles that compliment your lifestyle and your home décor. 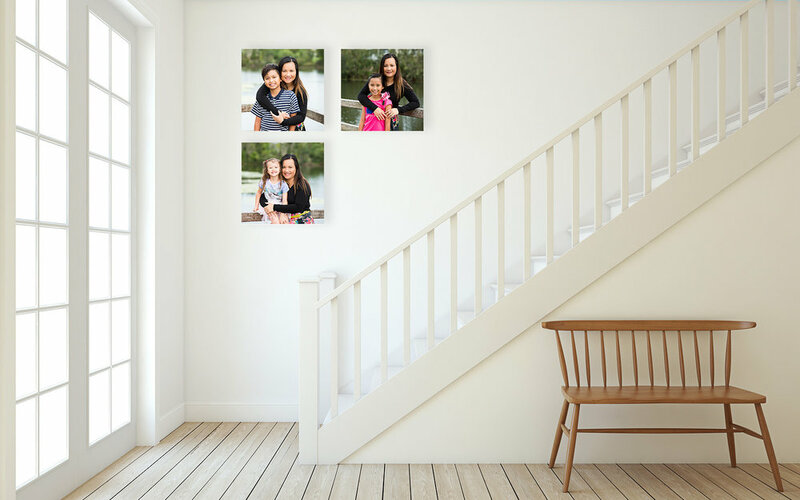 Start thinking about how and where you would like to display your images. You will receive a few helpful emails from me in the lead up to your sessions and we will chat about the finer details such as what to wear and what to bring. Your photography session will generally take 1 to 1.5 hours. The session is generally quite relaxed, rather than rushing about through endless posing and sitting. I like to set up the scene and let you and your family tell the story, watching the interactions unfold. Just remember not everyone needs to be looking at the camera, pulling cheesy smiles all the time. Before everyone gets back in the car to head home we will have a quick look at the options available to display your artwork in the home. In 5-10 days your images will be uploaded to a secure online gallery and a link will be emailed to you. You can view and select your favourite images in the comfort of your own home, at your convenience, using a simple online gallery. Prints and Wall Art are easily purchased through the online software. Your completed images will be ready within 3 weeks of ordering and as soon as they are ready to go I will contact you to arrange a time to collect from my studio or deliver to your door. All images come as a finished product ready to display. Print packages start at $195. Wall Art starts from $125, and Wall Collections from $295. Two sizes available, 5x7" & 8x12"
Sizes ranging from 8x10" to 40x60"
Three of Nine of your favourite images in a timber frame. Two shapes available in Black, chocolate, oak, white or silver with a choice of matt boards colours.